Beer and food. Too often, one of these is an afterthought, or the opposite — an $80 beer dinner in a fancy restaurant. While these events tend to be worth every penny (a chef with a palate for beer and food pairings is a fine, fine thing), I don't see enough people bringing the practice into their own humble kitchens. Pairing great, simple foods with beer at home is a rewarding experience, whether a quick sandwich for yourself over lunch, or a generous spread for friends that will bring the beers you're sharing to life. My good friend, Emily Berman of "52 Meals," is a trained chef, mother, and companion of picky men who love great beer. Many weekends are spent dining at her table and sharing drinks (she makes some amazing cocktails) — and she makes it all seem so enjoyable. While she may be a trained chef, her real talent is breaking down a recipe to its most simple, no-nonsense components, sharing it with friends, and passing along some tid-bits of knowledge that make it seem completely shameful that we all don't follow her lead. In short, she's motivating, and most of my own kitchen successes come from her inspiration. I wanted to share the genius of Emily's cooking with the rest of the beer world, and so we hatched the GBH Provisions series together. 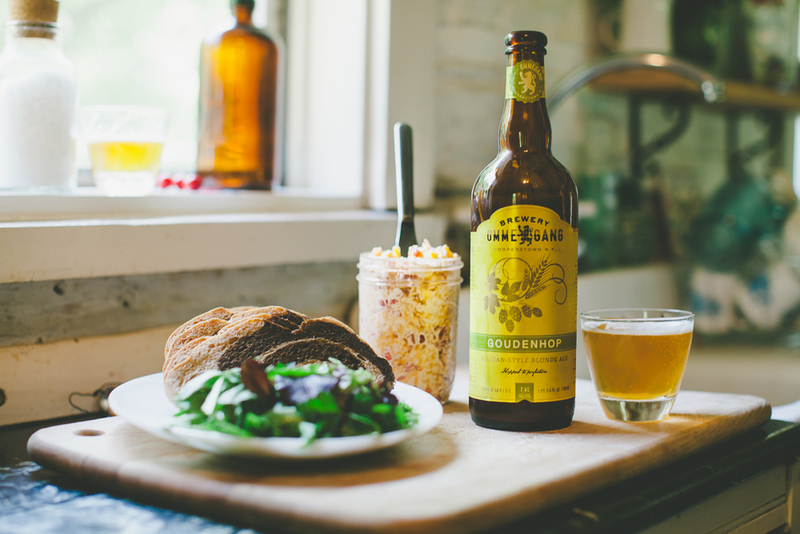 I picked a beer that was perfect for the season, in this case the new offering from Brewery Ommegang called Goudenhop — a bright, hoppy Belgian-American blonde with a citrusy nose, along with notes of coriander and clove, and a dry Belgian finish using the house Ommegang yeast. We discussed the aromas, the flavors, and the mouthfeel of the beer, and Emily went to work considering a wide variety of ingredients and preparations that would pair well. Stir to combine in a large bowl, and spread on everything from crackers, to bread, or make a grilled cheese! Keeps for about a week, if it lasts that long. 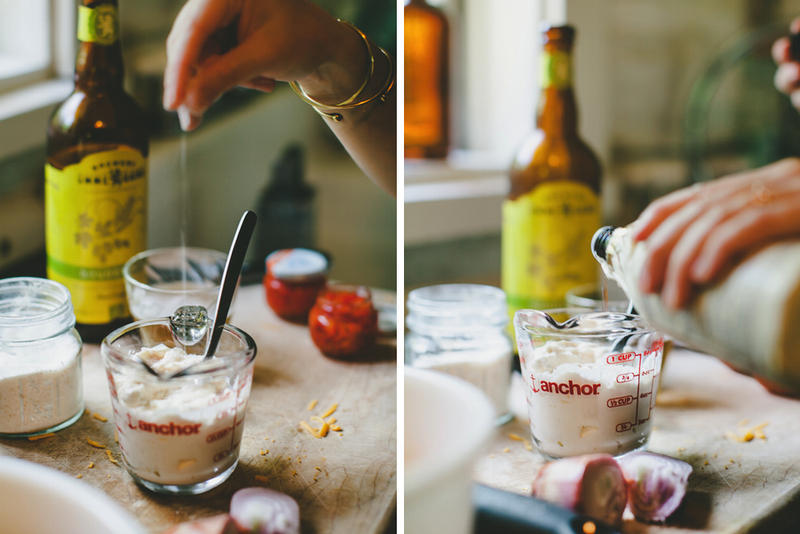 Learn more about Emily, and nab some more great recipes on her blog 52 Meals.